Alphabet X, better known as ‘The Moonshot Factory’, has been the proving grounds for a number of startups working on futuristic technologies that could someday “make the world a radically better place.” Earlier this year, the startup incubator gave birth to a new cybersecurity-focused firm called Chronicle which promised to revolutionize the cybersecurity space. 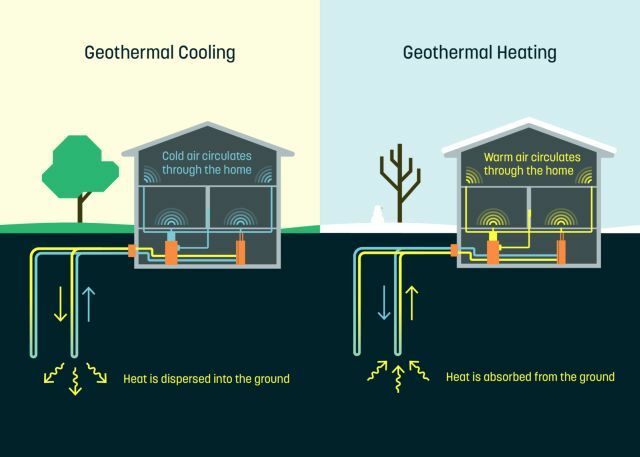 Now, a clean energy startup called Dandelion, which was originally incubated within Alphabet X, has raised $4.5 million to bring geothermal heating and cooling systems for homes. The company claims that using the geothermal system can reduce the customers’ bill by half, while also being far more environment friendly than conventional energy systems which use gas and fossil fuels. Dandelion set up shop in Upstate New York, a region which has extreme cold and hot spells, and plans to use the funding to grow the company nationally. The company claims that it currently has a waitlist of “thousands” of customers nationally. TechCrunch reports that the current round of funding was led by New Enterprise Associates, along with new investors like BoxGroup, Daniel Yates, and Groud Up. Previous investors including, Borealis Ventures, Collaborative Fund, and ZhenFund, also took part in the funding. Up until now, Dandelion has raised a total of $6.5 million, which includes a seed round which was announced back in July last year.